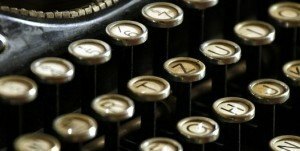 Stephen King short story competition: Send us your stories! Home > Competitions > Stephen King short story competition: Send us your stories! To mark publication of Stephen King’s wonderful new collection, The Bazaar of Bad Dreams, we are teaming up with the Guardian to run a short story competition, in which King himself will pick the winner. The prize will include publication of the winning story on the Guardian books website and a chance to improve your skills at a Guardian Masterclass run by King’s UK editor, Philippa Pride. There’s something to be said for a shorter, more intense experience. It can be invigorating, sometimes even shocking, like a waltz with a stranger you will never see again, or a kiss in the dark, or a beautiful curio for sale at a street bazaar. For further information about the short story competition please visit the Guardian website. The closing date is 18 December 2015. Feeling inspired but not sure where to start? Discover some of Stephen King’s own writing tips in this blog post from Philippa Pride.